Mosel Vintage 2015 Update | Some Eiswein Harvested ... in 2016! Mosel Vintage 2015 | Eiswein harvested ... in 2016! The promising 2015 vintage even allowed some winemakers to produce Eiswein … at the beginning of 2016. As we explained in details in our article Eiswein, Frozen Pleasure since 1830, Eiswein is a wine made from frozen grapes. When pressed, the resulting juice is more concentrated (as the water is retained as ice). This can yield a pure nectar of the goods which can fetch very high prices, as we regularly report, among others, in our Auction Reports. It is therefore not surprising that winemakers take the gamble to leave grapes out hanging in the hope that the weather will become cold enough to produce this little gem of a wine. Legally, the temperature needs to drop below -9°C before a wine can be called Eiswein. For this, they leave some parcels with particularly clean grapes (usually high up a hill or in an area where cold air can stagnate) in the hope of some cold weather later on. November and December were quite disappointing however. The weather proved extremely warm for the period. Germany experienced the hottest month of December in history, with unheard 15°C / 60°F around Christmas. All hope was almost lost when a streak of polar weather swept through the country on January 18 and 19. This allowed makers throughout Germany to produce some Eiswein. However, only a handful of Mosel Estates produced Eiswein in 2015. 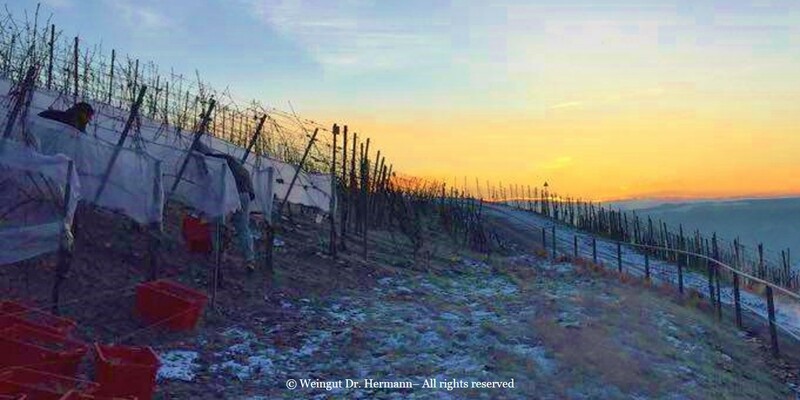 Many of the "Eiswein specialists" had to abandon their Eiswein plans after their grapes had suffered from the mild November and December. This includes Weingut Geltz-Zillliken, Weingut Dr. Loosen and Weingut von Schubert. 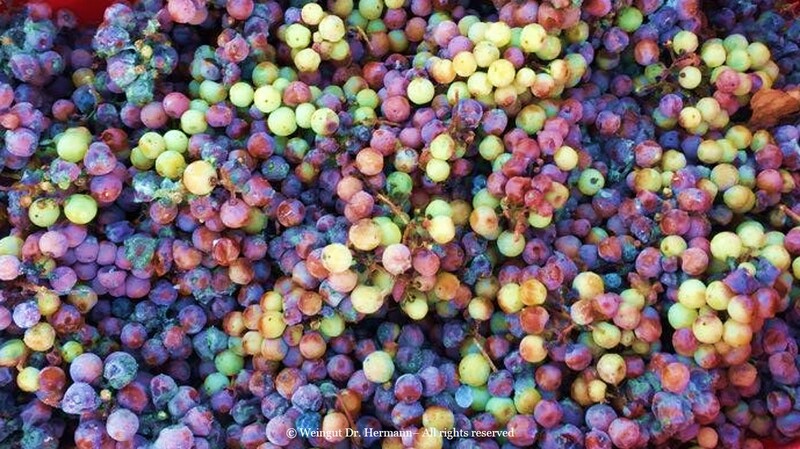 Although technically harvested in 2016, the Eiswein grapes harvested over the last few days are legally from the 2015 vintage and will be sold as such. These Eiswein put a nice finishing touch to what looks to be a remarkable vintage 2015 in the making: We already had a cask taste or two and we cannot wait to taste all the wines properly, later this Spring!